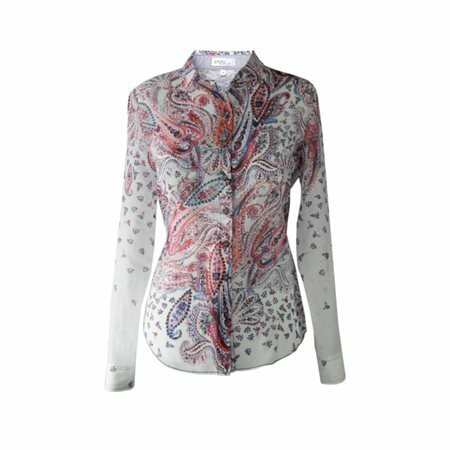 Erfo has created this super cute shirt to contain a paisley print throughout in feminine colours. This is a soft touch shirt with a full button closure, button cuffs and a smart crisp collar. The perfect shirt for that work to weekend look.